Fully illustrated. Dogme et Rituel de la Haute Magie (English: Dogma and Ritual of High Magic) is the title of Eliphas Levi's first published treatise on ritual magic, which appeared in 1855. This is Part II, The Ritual of Transcendental Magic. EVERY intention which does not assert itself by deeds is a vain intention, and the speech which expresses it is idle speech. It is action which proves life and establishes will. Hence it is said in the sacred and symbolical books that men will be judged, not according to their thoughts and their ideas, but according to their works. We must do in order to be. We have, therefore, to treat in this place of the grand and terrific question of magical works; we are concerned no longer with theories and abstractions; we approach realities, and we are about to place the wand of miracles in the hands of the adept, saying to him at the same time: “Be not satisfied with what we tell you: act for yourself.” We have to deal here with works of relative omnipotence, with the means of laying hold upon the greatest secrets of Nature and compelling them into the service of an enlightened and inflexible will. 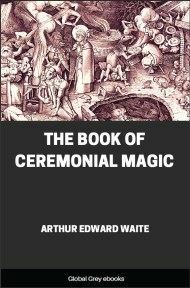 Most known Magical Rituals are either mystifications or enigmas, and we are about to rend for the first time, after so many centuries, the veil of the occult sanctuary. To reveal the holiness of mysteries is to provide a remedy for their profanation. Such is the thought which sustains our courage and enables us to face all the perils of this enterprise, possibly the most dangerous which it has been permitted the human mind to conceive and carry out. Magical operations are the exercise of a natural power, but one superior to the ordinary forces of Nature. They are the result of a science and a practice which exalt human will beyond its normal limits. 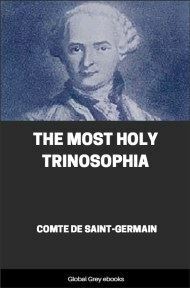 The supernatural is only the natural in an extraordinary grade, or it is the exalted natural; a miracle is a phenomenon which impresses the multitude because it is unexpected; the astonishing is that which astonishes; miracles are effects which surprise those who are ignorant of their causes, or assign them causes which are not in proportion to effects. Miracles exist only for the ignorant, but as there is scarcely any absolute science among men, the supernatural can still obtain, and does so indeed for the whole world. Let us set out by saying that we believe in all miracles because we are convinced and certain, even from our own experience, of their entire possibility. There are some which we do not explain, though we regard them as no less explicable. From the greater to the lesser, from the lesser to the greater, the consequences are related identically and the proportions progressively rigorous. But in order to work miracles we must be outside the normal conditions of humanity; we must be either abstracted by wisdom or exalted by madness, either superior to all passions or outside them through ecstasy or frenzy. Such is the first and most indispensable preparation of the operator. 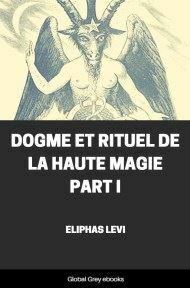 Hence, by a providential or fatal law, the magician can only exercise omnipotence in inverse proportion to his material interest; the alchemist makes so much the more gold as he is the more resigned to privations, and the more esteems that poverty which protects the secrets of the magnum opus. Only the adept whose heart is passionless will dispose of the love and hate of those whom he would make instruments of his science. The myth of Genesis is eternally true, and God permits the tree of knowledge to be approached only by those men who are sufficiently strong and self-denying not to covet its fruits: Ye therefore who seek in science a means to satisfy your passions, pause in this fatal way: you will find nothing but madness or death. This is the meaning of the vulgar tradition that the devil ends sooner or later by strangling sorcerers. 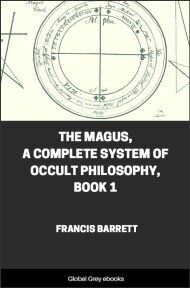 The Magus must be impassible, sober and chaste, disinterested, impenetrable and inaccessible to any kind of prejudice or terror. He must be without bodily defects and proof against all contradictions and all difficulties. The first and most important of magical operations is the attainment of this rare pre-eminence. We have said that impassioned ecstasy may produce the same results as absolute superiority, and this is true as to the issue but not as to the direction of magical operations. Passion projects the Astral Light forcibly and impresses unforeseen movements on the Universal Agent, but it cannot curb with the facility that it impels, and then its destiny resembles that of Hippolytus dragged by his own horses, or Phalaris victimized himself by the instrument of torture which he had invented for others. Human volition realized by action is like a cannon-ball and recedes before no obstacle. It either passes through it or is buried in it; but if it advance with patience and perseverance, it is never lost: it is like the wave which returns incessantly and wears away iron in the end. Man can be modified by habit, which becomes, according to the proverb, his second nature. By means of persevering and graduated athletics, the powers and activity of the body can be developed to an astonishing extent. It is the same with the powers of the soul. Would you reign over yourselves and others? Learn how to will. How can one learn to will? This is the first arcanum of magical initiation, and that it might be realized fundamentally the ancient custodians of sacerdotal art surrounded the approaches of the sanctuary with so many terrors and illusions. They recognized no will until it had produced its proofs, and they were right. Power is justified by attainment. Indolence and forgetfulness are enemies of will, and for this reason all religions have multiplied their observances and made their worship minute and difficult. The more we deny ourselves for an idea, the greater is the strength we acquire within the scope of that idea. Are not mothers more partial to the children who have caused them most suffering and cost them most anxieties? So does the power of religions reside exclusively in the inflexible will of those who practise them. So long as there is one faithful person to believe in the Holy Sacrifice of the Mass, there will be a priest to celebrate it for him; and so long as there is a priest who daily recites his Breviary, there will be a pope in the world.